Behzad Ansari, an immigrant doctor from Iran, says his family's support played a key role in his success in securing a residency in B.C. When Pedro Jara Villarroel left Chile for Canada in 2009, the general practitioner thought he’d soon be working as a doctor in his newly adopted country. Having only a general idea of the challenges immigrant doctors – or International Medical Graduates (IMGs) – face getting a residency in Canada, he was floored when he discovered the wait would be much longer. “Soon after I arrived, I realized my expectations were unrealistic,” he says. First, he had to improve his English. He spent two and a half years studying English while studying for his qualifying exams in medicine. Not an easy thing to do when you’ve got two small kids at home. To make ends meet, he and his wife – also an IMG from Chile – and their children lived with his wife’s parents. Fortunately, he had money saved from his four years working as a doctor in Chile. What’s more, he learned that in 2009 there were well over 1,000 IMGs in B.C. and only 26 residencies available. Pedro got an unexpected boost when he discovered Skills Connect for Immigrants, a provincially funded program run through The Training Group at Douglas College, which helps immigrants prepare to become licensed – and then work – in their field. The program averages two years and also offers financial support. His hard work has paid off. Pedro is one of 12 Skills Connect clients to land residencies at B.C. hospitals this year (the provincial limit is now 34). He’s in his third month of a two-year residency in family medicine at Vancouver’s St. Paul’s Hospital. Behzad Ansari is another successful Skills Connect client. A GP in Iran for more than 10 years, it took him seven years to land a residency after he arrived in Canada in 2004. Even before he left Iran with his wife and daughter, his sister, who works at Immigrant Services Society BC, told him how difficult it was to obtain a residency here. Still, Behzad decided to come. “I wanted to provide a better life for me and my family,” he says. After passing his qualifying medical and English exams, which took three years, he worked as a care aide for seniors at $8 an hour. In 2007 Behzad discovered Skills Connect. The program gave him the financial aid he needed to support his family while working a minimum wage job. 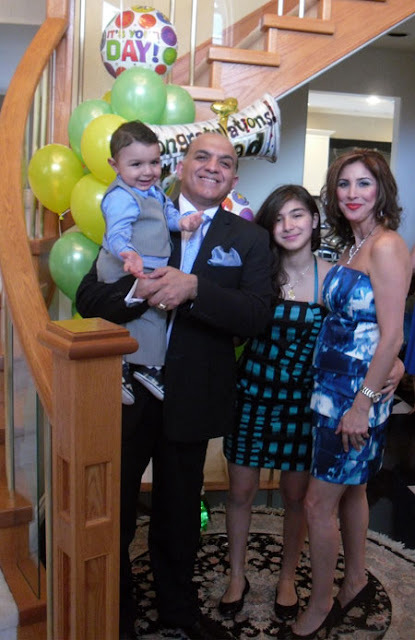 After five years he quit his job and was selected out of 200 applicants for a physician’s assistant position in Edmonton, while his family – a son was born about a year earlier – stayed in Coquitlam. Three months later, he came back when he got the news he’d been matched for a residency with the UBC Family Practice Residency Training Program, on Vancouver Island. It took Behzad seven years to reach his goal. But he has no complaints. Lois says Skills Connect has served more than 3,000 clients at Douglas and has achieved an 80 percent employment rate. She applauds the provincial government for funding the program. Come to the Douglas College Fall Fair! A Big To-DO is on!